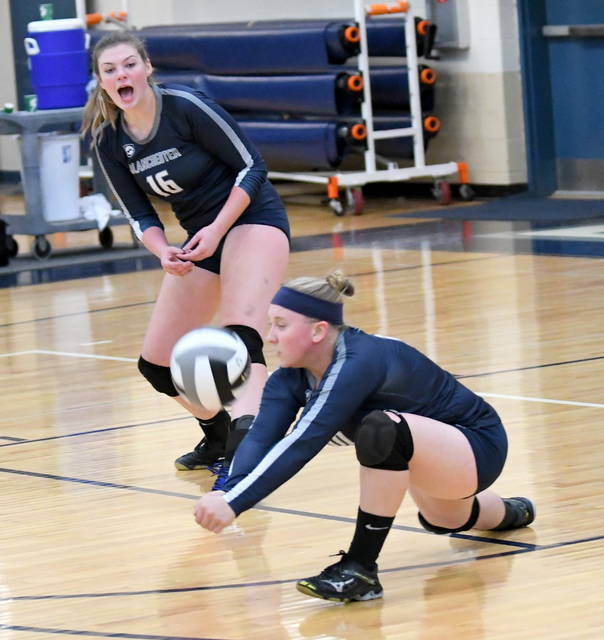 BLANCHESTER – The Blanchester High School volleyball team defeated East Clinton in five sets Wednesday in a Div. II sectional tournament match at the BHS gym, 25-19, 23-25, 25-20, 25-27, 15-10. The Ladycats will play 3:30 p.m. Saturday against St. Bernard in the second round of the tournament. The win is the first of the season for Blanchester over East Clinton. They met twice during the season as members of the SBAAC National Division. 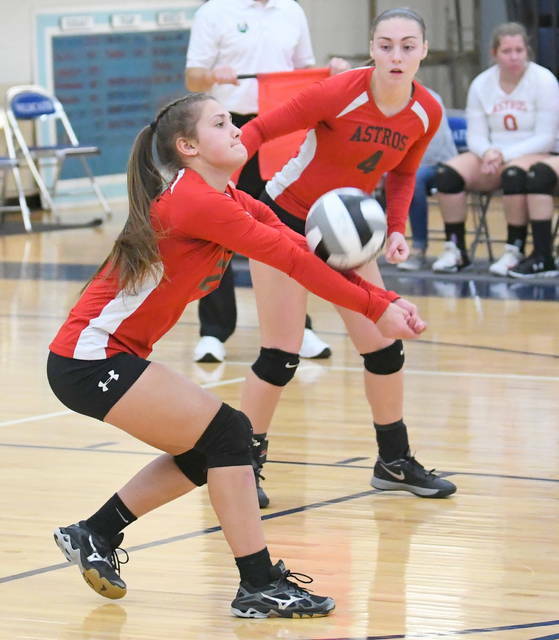 The Lady Astros won the match at Blanchester 25-23, 18-25, 25-21, 27-25 on Oct. 2. 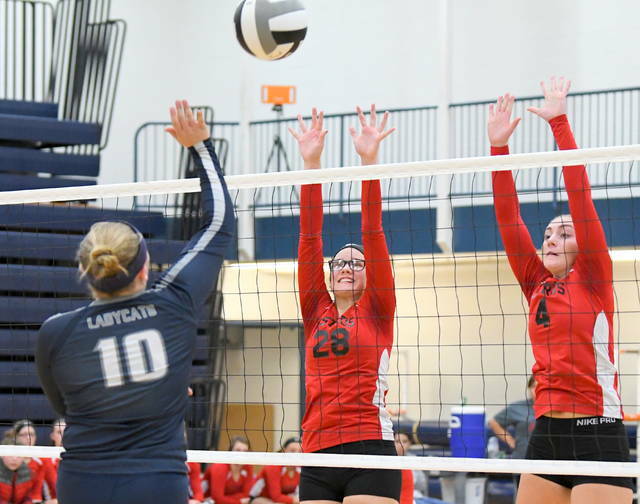 Early in the season, Blanchester lost at East Clinton 25-17, 25-9, 25-21 on Sept. 6. 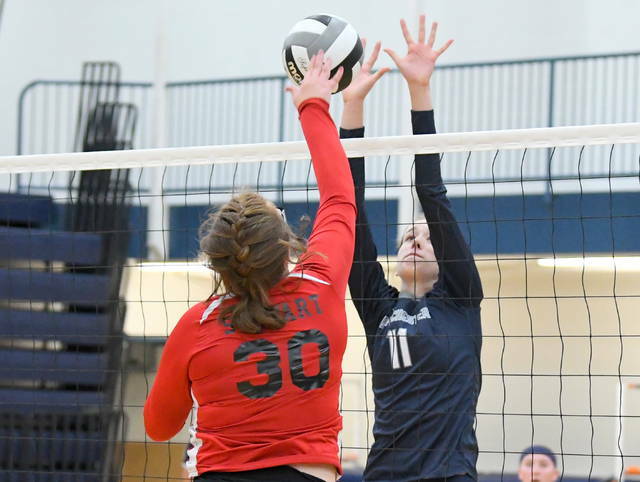 For Blanchester, Morgan Oberle had a monster match with 16 kills, 11 blocks, 14 perfect passes and 20 points. Holly Scott had a team-high 27 set assists to go along with three perfect passes and 19 points. 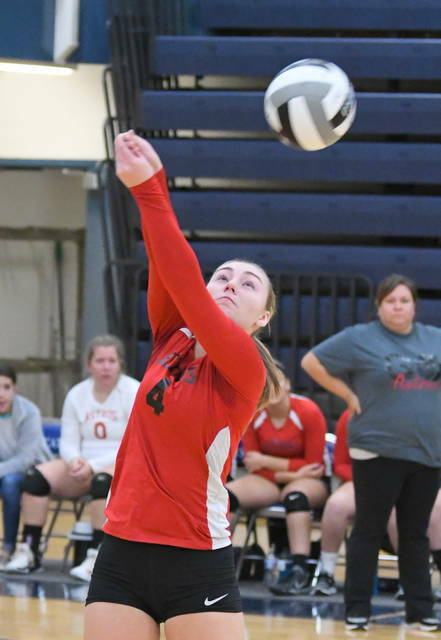 Madison Creager had a kill, four digs, two perfect passes, 23 points and four aces. Kassidy Abney finished with a dig, nine perfect passes and 23 points. 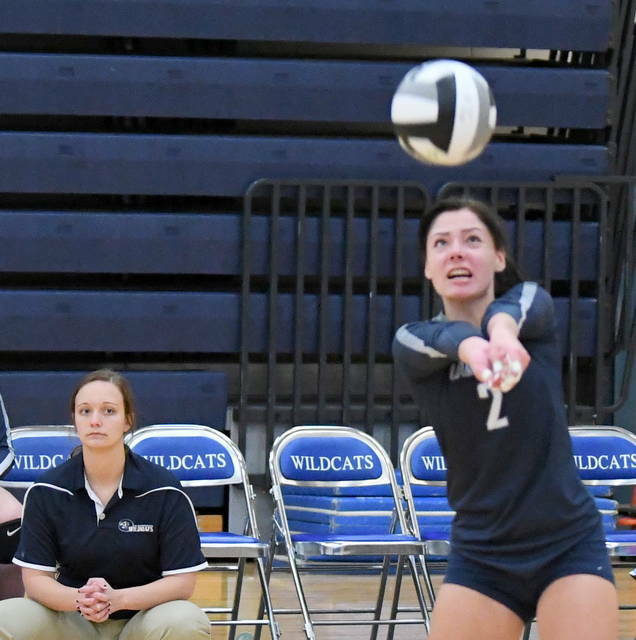 Ally Davis contributed eight kills, four digs, 12 perfect passes and 19 points. Caili Baumann had four kills, a team-best 12 blocks and 10 points. Kelli Hoffman and Molly Campbell both chipped in with a perfect pass.